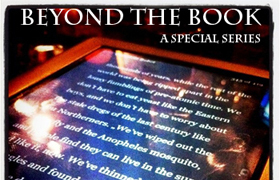 This week on MediaShift, we are exploring the dramatically changing publishing industry in our Beyond the Book special series. Stay tuned for more pieces like this one in the coming days. Sign up for our new weekly newsletter on e-books and self-publishing here. Amazon controls the lion's share of the direct publishing business, with almost 80 percent of the market share on e-books." One day, publishers will mark their industry as existing between two eras: before and after the Kindle. Publishing has changed dramatically since the days when a handful of influential publishers — mostly located on the East Coast — determined what America would read. Now anyone with so much as an Internet connection and a word processor can publish online whatever they want and price it however they like. Services like Smashwords, Pubit!, and Amazon’s Kindle Direct Program offer writers the chance to bypass big publishing, attract a readership, and even earn money. Yet, it is Amazon that controls the lion’s share of the direct publishing business, with almost 80 percent of the market share on e-books. Some authors consider the site too powerful. Amazon attracts so many writers not only through its market share, but by offering 70 percent royalties on books priced between $2.99 and $9.99 in the U.S. (and a handful of other countries) and 35 percent for books priced otherwise, well above what most publishers offer. But is Amazon short-changing authors in other ways? an author who offers many of his titles on Amazon Kindle Direct, has only praise for the service. He wrote in an email, “Getting 70 percent of a sale is fantastic for an author. Period. I will be selling some stories off my website for 100 percent, but, beyond that, 70 percent can’t be beat.” Since he first discovered Kindle Direct in 2009, Smith has published more than 200 works. He prices most of his short stories at 99 cents, and longer novels at $4.99. The prices for e-books are far below what publishers want readers to pay. Suzanne Parrott, publisher of e-book resource Unruly Guides, wrote in an email that “Publishers tend to price their authors’ books above the $9.99 cap, much to the anger of many potential customers.” From a consumer standpoint, the Kindle saves money — yet price cuts and limited sales can hurt an author’s bottom line. Parrot mentions that some authors are angry that the 70 percent royalties only apply to those who price their books above $2.99, which is not always a competitive price point, especially for novice authors. The royalty remains 35 percent for books under that price. 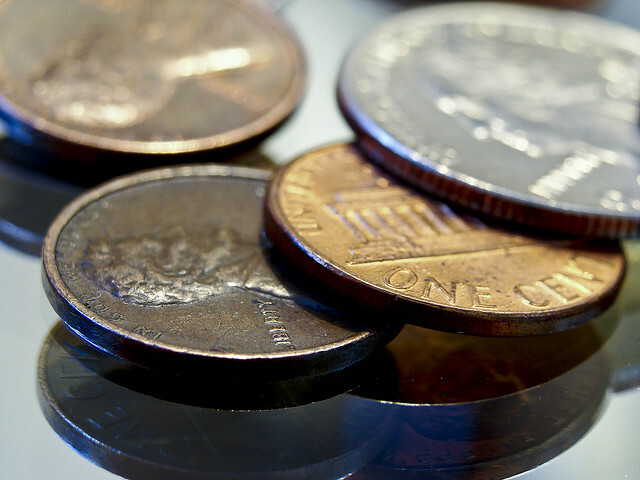 Royalties are not the only sticking point for authors. It is Amazon’s sheer size, as the largest retailer of e-books, that bothers some. Liz Funk, a writer for inReads and nonfiction author, wrote in an email that “in similar ethical dilemmas, you can say, ‘Oh, I don’t shop at Wal-Mart,’ but especially for indie authors, you can’t say that you won’t make your titles available on Amazon because it’s essentially cutting off your nose to spite your face when no one has come up with a way to sell lots of books without Amazon.” Whether or not writers like Amazon’s policies, most do not have the fan base or the finances to shun it completely. Upon request for comment, Brittany Turner, a spokeswoman for Amazon’s Kindle Direct Program, wrote that “authors can change their pricing and royalty model on any book at any time.” Turner’s response — that the online book bazaar Amazon created for the Kindle is controlled by the sellers, not the publishers — is telling. Anyone can contribute to the site, making separating the good from the bad difficult. Bloggers have recently complained that spam is popping up in the Kindle marketplace — making it unclear what is a book and what is a flashy cover containing no content. Amazon recently created five specialty imprints, which price e-books significantly lower than traditional publishers could. In the future, could Amazon serve as the e-book’s gatekeeper, stepping into territory once controlled by traditional publishers? And in creating this new world for publishing under the umbrella of one website, have we exchanged one boss for another? Jonathan Peters is a freelance journalist based in Los Angeles, California. He hails from Silver Spring, Maryland and graduated from Swarthmore College with a degree in history. He is a columnist at inReads.com. He has also written for Next Step Magazine, Working World, Current, The Ann Arbor News, and other publications. You can catch his blog at: http://alternatewrites.com/, or @jonpeters87 on Twitter. This post originally appeared on WETA’s inReads, an online community dedicated to the changing face of reading. Follow inReads on Twitter @inReads and on Facebook.